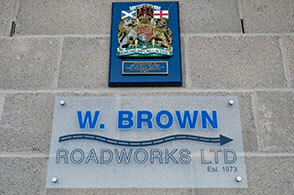 W Brown Roadworks Ltd. is a long established, family run road surfacing and civil engineering contractor providing a wide range of surfacing services for both the public and private sectors. 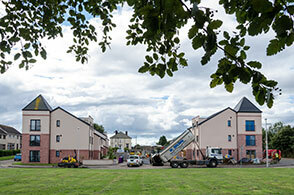 The type of work undertaken ranges from private driveways to local authority works throughout Scotland. 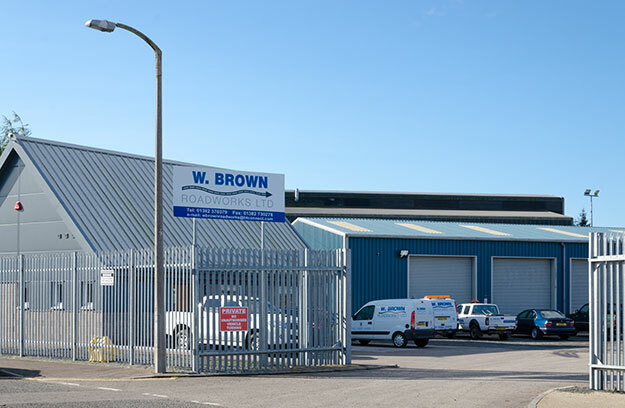 The skilled staff at W Brown Roadworks Ltd pride themselves on providing a professional, high quality service. This begins at the first point of contact, continues through the planning stages, and into the on-time and on budget, completion of the contract. The company owns a wide range of vehicles and plant to enable any type of road surfacing and groundworks to be undertaken efficiently and at competitive rates. 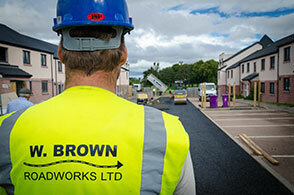 W Brown Roadworks Ltd. is a member of Construction Line and Safe Contractor. All staff hold CSCS cards appropriate to their skills, this ensures your contract will be completed to the highest standard. Read about our latest contract in Arbroath where we were awarded the contract to surface the new entrance road into a newly built housing scheme.